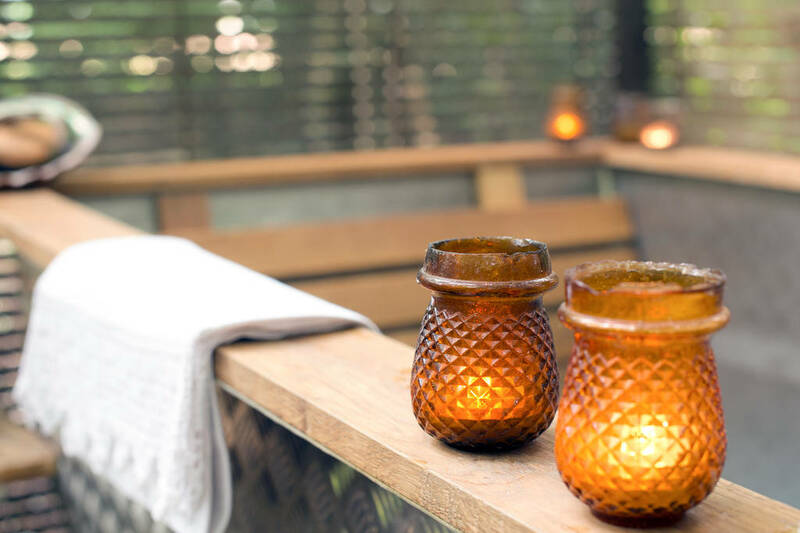 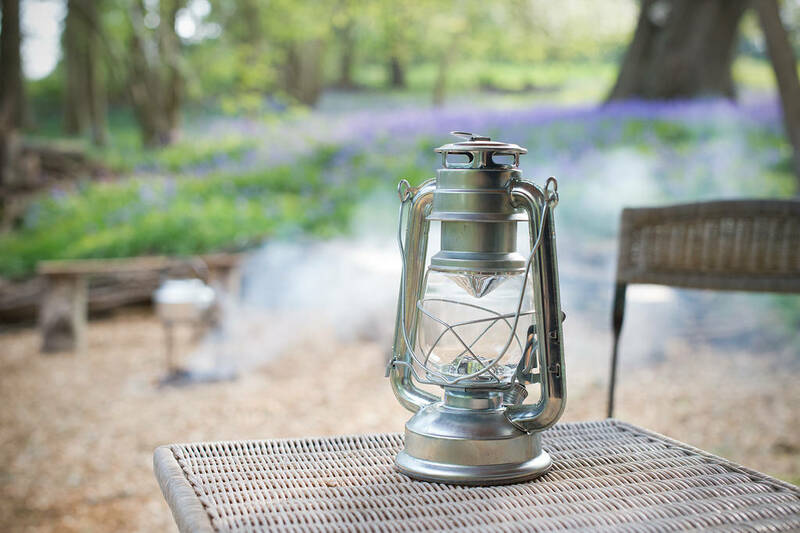 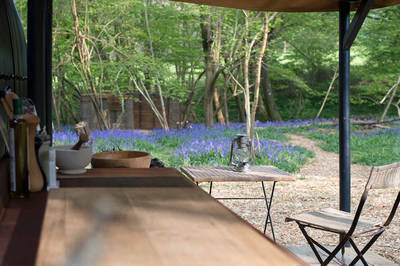 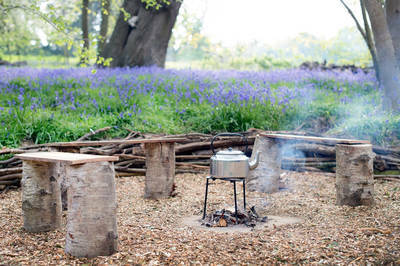 In just fifty minutes you can go from the smog and bustle of London Victoria to a clearing in the woods of Sussex where a private camp of perfect peace awaits. 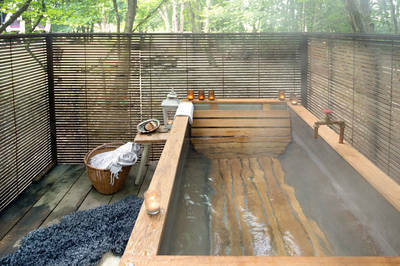 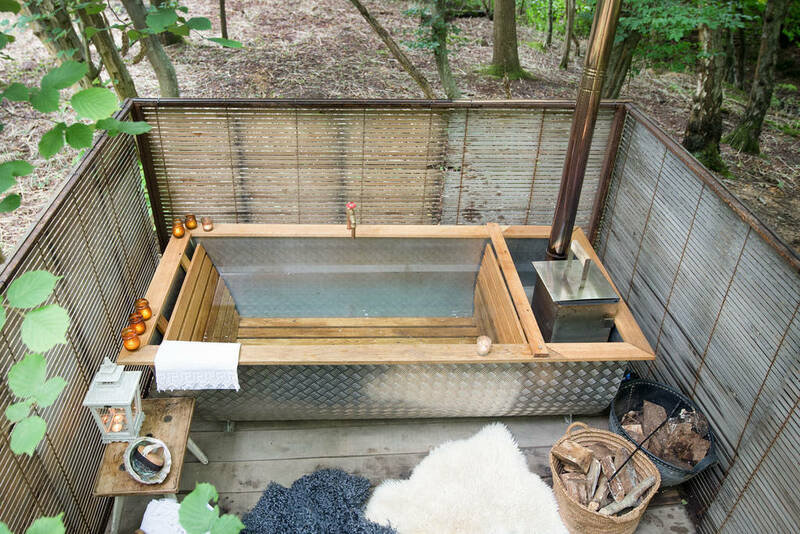 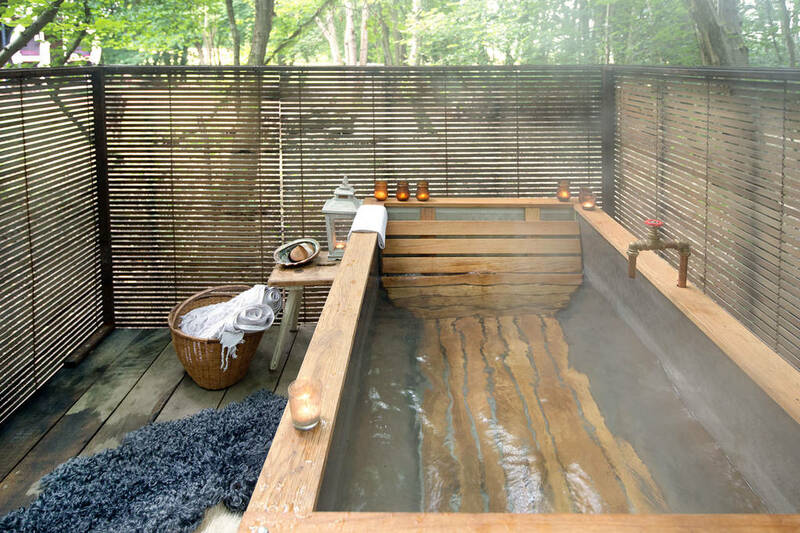 In another ninety minutes, you could have the Swedish outdoor bath heated up ready for a spot of atmospheric al fresco relaxation, with the calm of the ancient bluebell woods and surrounding National Trust lands punctuated only by the occasional hoot of a steam train at distant Sheffield Park Station. 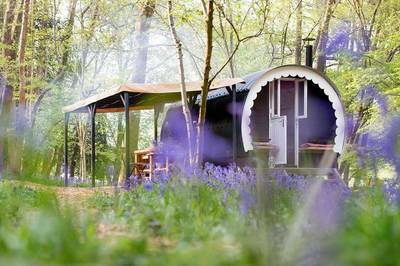 The natural beauty of the local area is echoed in the wagon itself. 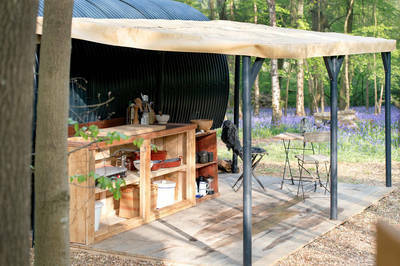 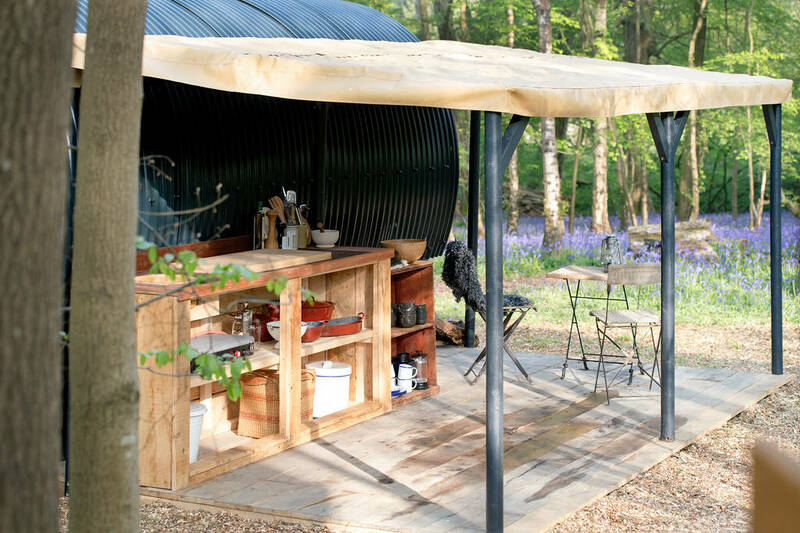 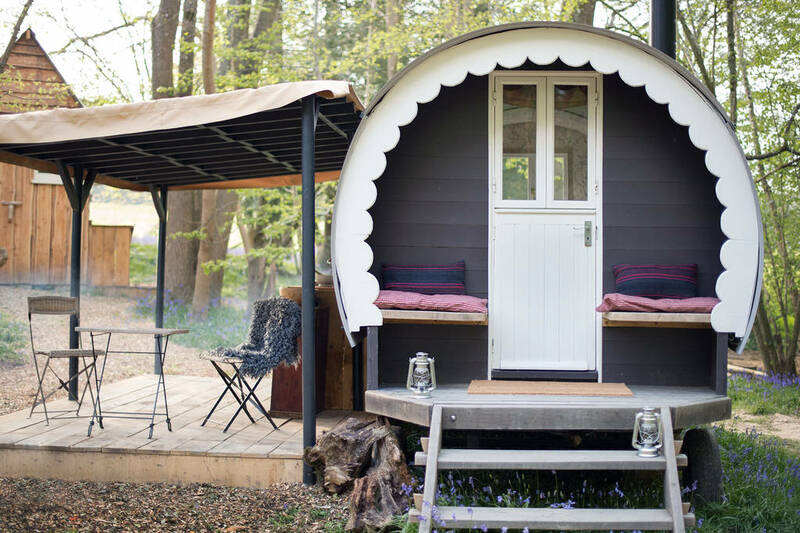 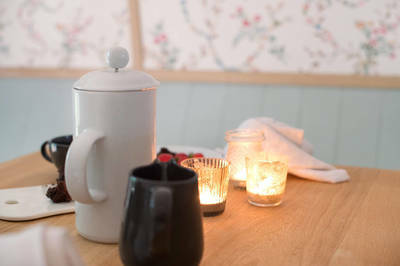 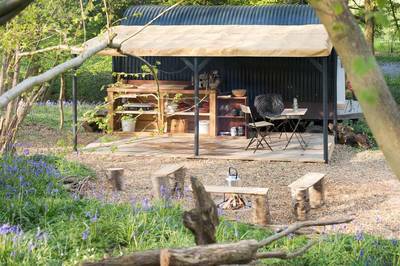 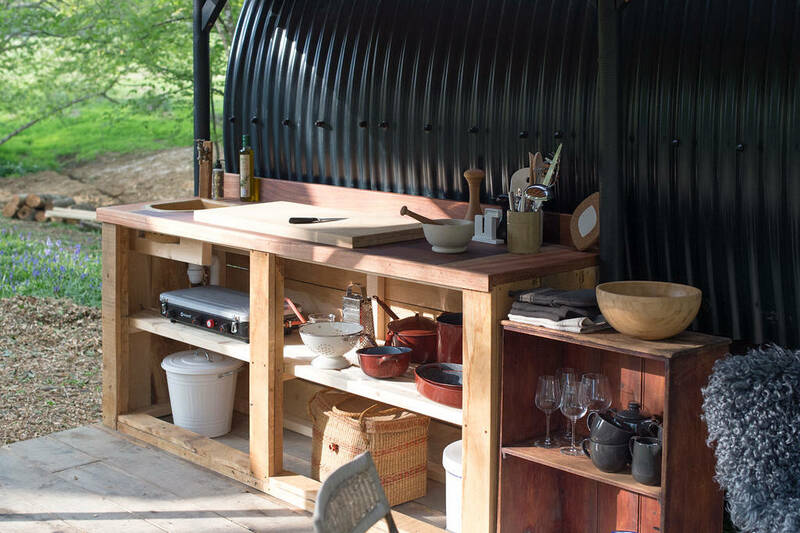 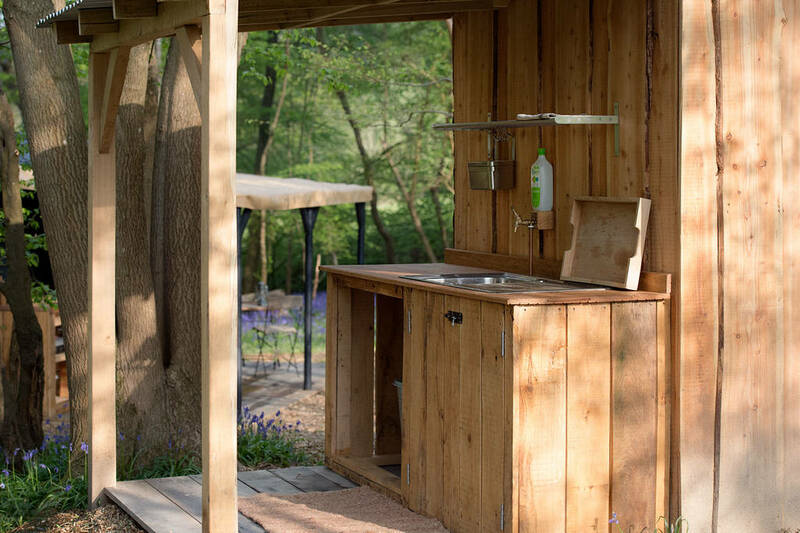 Rich oak cladding, floral wallpaper and the natural wood of the adjoined camp kitchen all blend the wagon perfectly into its environment. 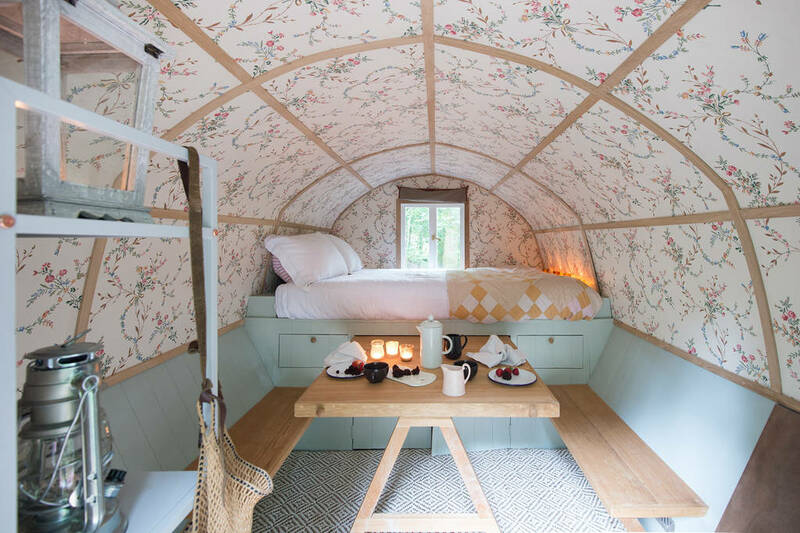 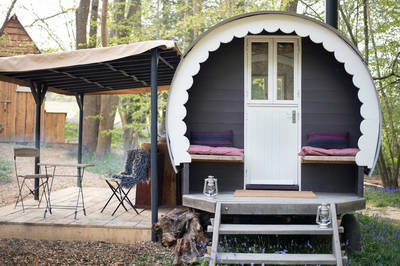 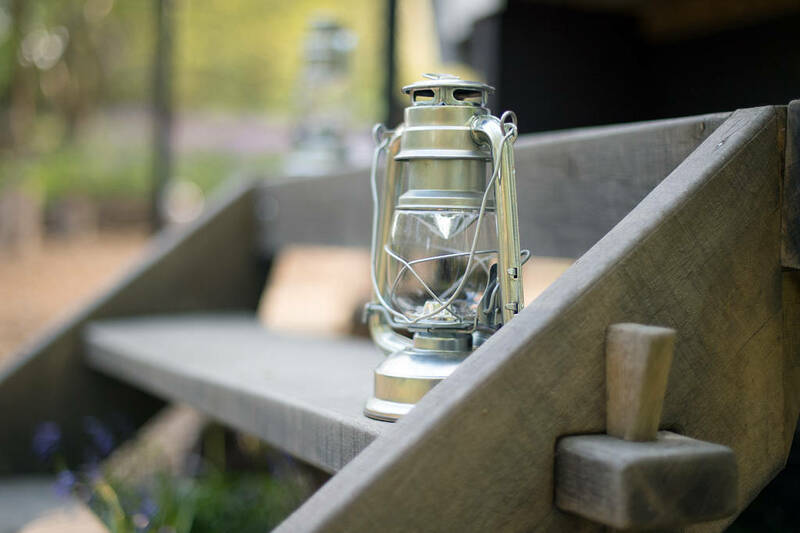 Clever storage in the cosy interior, running water and the nearby flushing loo are nods to modern convenience, but with no power and the laid-back pace of campfire or wood-burner cooking, Wood Walk Wagon is a great chance to get off grid and enjoy a slower pace of life. ​You can hike or bike across miles of forest trails and the South Down National Park, but if you feel the need to dip a toe back into civilsation, then plot a route over to Glyndebourne, Charleston or one of the local pubs for dinner, before heading back to your secluded clearing in the woods for toasted marshmallow dessert.